Hi there! I can't believe Easter is almost here! I wanted to make a quick little treat box for some friends! Of course I had to use my two favorite things~ My Cricut and Jaded Blossom Stamps! Don't forget about the Jaded Blossom Challenge! 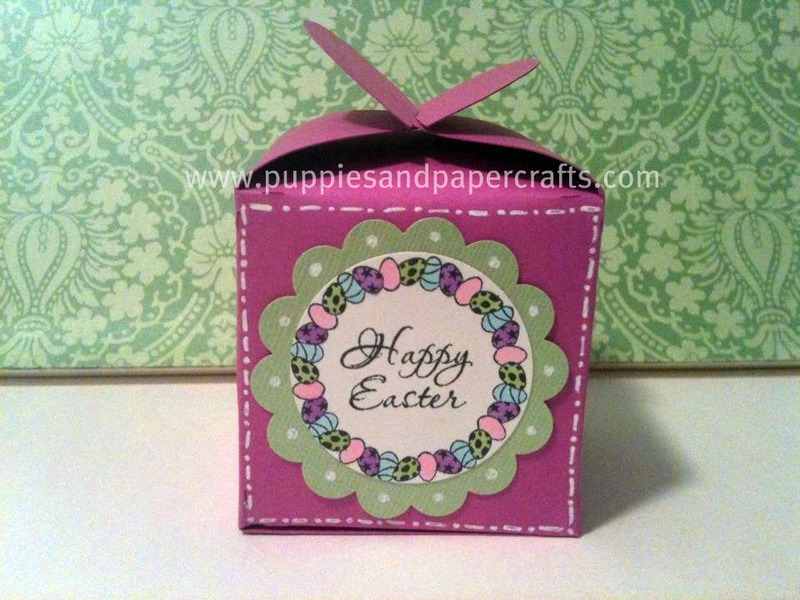 All you have to do is make a Easter Treat and use a Jaded Blossom Stamp! As usual....super adorable! Very cute! Do you need my address to send me one?? tooo cute chickie love the diff colored eggs !!! !